December is now upon us - advent calendars have been opened, baubles are hanging on festive trees, and 2018 is close approaching on the horizon. It's a time to reflect on the year gone by and ponder; What campaigns really stood out? What idea made me wish I had come up with it? Which brands are now on my target list for 2018 as a result of their creativity? This week Marketing Week has cherry picked 12 top pieces of work, that have either inspired or dismayed consumers and industry bods. Highlighting work from consistent heavy hitters such as Burger King, IKEA, and Nike, as well as smaller brands M&S and the Royal National Institute of Blind People (RNIB), their round up is really considered and I agree with the majority of the selections. For me though, there will always be one brand that emotionally connects and can almost do no wrong - a brand that reminds me of childhood, family gatherings and comfort food. In my household it certainly always "has to be Heinz" - ketchup, baked beans and tomato soup - no other brand will do. Their 2017 campaign was no different - tying into the cultural power of TV show Mad Men, as well as their long history in the UK Market. It is so clever in fact, they don't even need to feature the product. So in answer to my initial questions; Heinz, Heinz and yes, you've guessed it, Heinz. 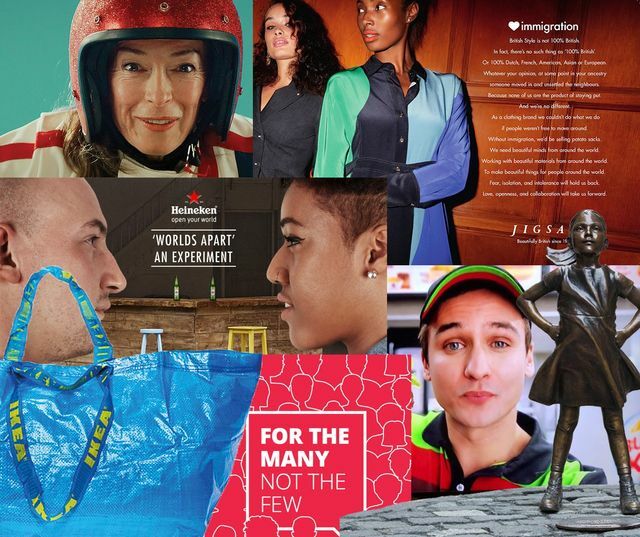 2017 year in review: Campaigns of the year From Burger King’s Google stunt and Ikea’s response to Balenciaga’s ‘copycat’ bag to Wendy’s 2.5 billion earned media impressions, these are the campaigns that caused controversy, set out to make a statement or put humour centre stage. With the 2018 fast-approaching, we revisit 2017's campaigns of the year. What was your pick?